Many major studies of depression in Australia are under-representative of rural and remote residents, limiting the generalizability of their findings. This study explores the contributions of a range of individual, social, and community factors to the trajectory of depressive symptoms among a cohort of rural and remote residents. Data from four waves of the Australian Rural Mental Health Study (baseline n = 2639), a 5 year longitudinal study of rural community residents, were examined within generalized linear mixed models to predict depressive symptoms. 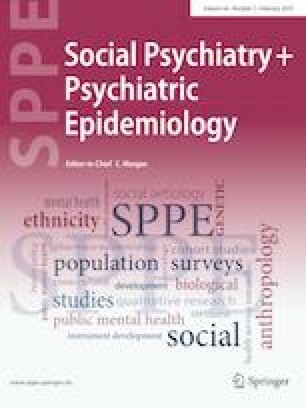 Depression was measured using the PHQ-9, with key correlates including social support, employment status, financial wellbeing, neuroticism, and rural community factors. Moderate-to-severe depression was reported by 6.3% of the baseline sample. Being permanently unable to work resulted in over a threefold increase in the odds of depression at the following survey wave. Self-rated financial hardship was associated with a fourfold increase in the odds of future depression, as was a high level of community concerns. Neuroticism and tobacco use also made a significant independent contribution to future depressive symptoms. Interpersonal support was a protective factor, reducing the odds of next-wave depression by 64%. Financial and employment-related difficulties appear to be important risk factors for depression, and targeting individuals experiencing such difficulties may be an effective means of reducing depression among certain sub-groups. Strategies to prevent depression in rural and remote Australia may benefit from a focus on interpersonal and community-level support, as the effects of this support are lasting and contribute to a reduced likelihood of depressive episodes in future years. The online version of this article ( https://doi.org/10.1007/s00127-018-1591-1) contains supplementary material, which is available to authorized users. We wish to recognise the contributions of the ARMHS investigators: David Lyle, David Perkins, Lyn Fragar, John Beard, Vaughan Carr, Jeffrey Fuller, Helen Stain, Kerry Inder, Prasuna Reddy and Senior Project Co-ordinator Clare Coleman. We also wish to acknowledge the support of the Directors of Mental Health Services in the relevant Local Health Districts during the course of the study: Russell Roberts, Richard Buss and Dinesh Arya, and particularly acknowledge the research site coordinators in each site: Jan Sidford, John Ogle (Broken Hill), Trim Munro, Amy Strachan (Moree), Louise Holdsworth, Kath O’Driscoll (Lismore), Cheryl Bennett, Jannelle Bowler (Orange), along with Fleur Hourihan, Gina Sartore and Denika Novello. The study was funded by the National Health and Medical Research Council (Project Grants #401241, #631061) and also supported by a Research Capacity Building Grant to the Australian Rural Health Research Collaboration.